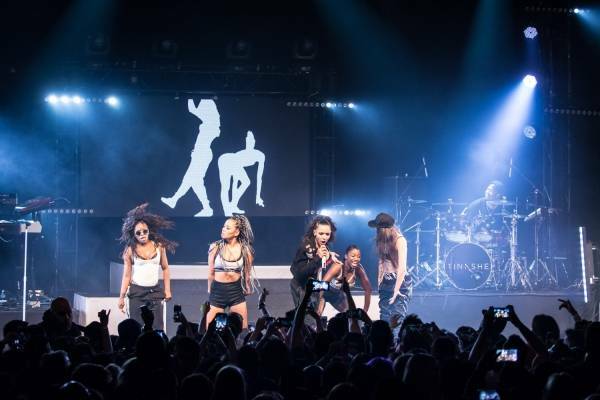 Tinashe at the Vogue Theatre, Vancouver, Apr. 10 2016. Pavel Boiko photo. 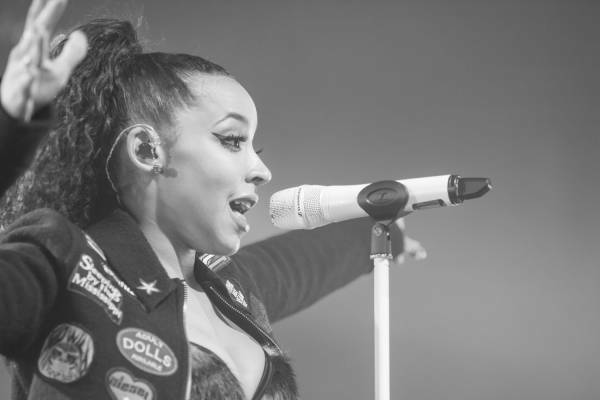 Tinashe on tour in Vancouver to support her new release Joyride. 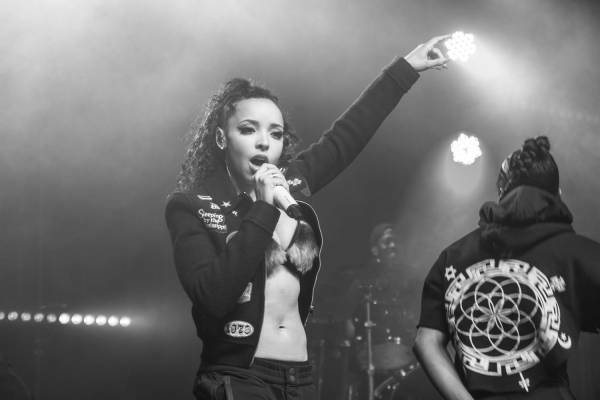 The 23-year-old, Kentucky-born R ‘n’ B singer-songwriter and producer Tinashe Kachingwe is a former actress (Two and a Half Men, The Polar Express) and model. According to Wikipedia, “In 2012, she released two critically acclaimed mixtapes, In Case We Die and Reverie, which she created in her home studio. 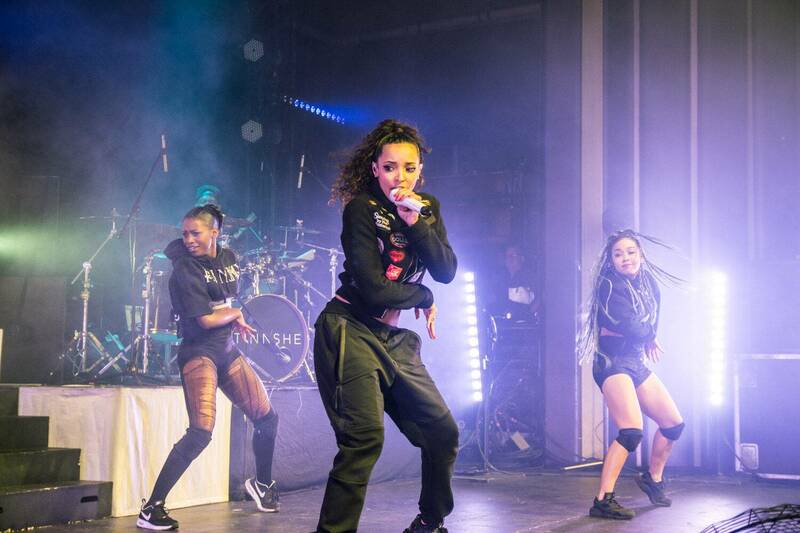 After the release of the mixtapes, Tinashe signed with RCA Records. She later released her third mixtape, Black Water (2013)…” In 2014, she released her debut studio album, Aquarius. 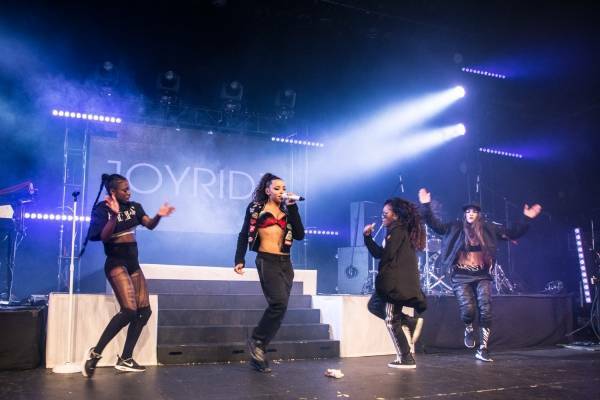 Singles from Joyride include “Party Favors” f. Young Thug and “Player” f. Chris Brown. 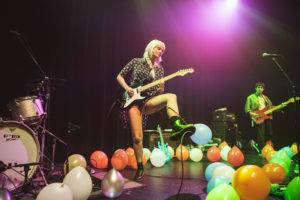 This entry was posted in Concerts 2016, Homepage Features and tagged Vancouver concert photography, Vancouver concerts, Vancouver shows, Vogue Theatre. Bookmark the permalink.